When a man asked Jesus Christ what the greatest commandment was, Jesus taught: “The first of all the commandments is . . . thou shalt love the Lord thy God with all thy heart, and with all thy soul, and with all thy mind, and with all thy strength: this is the first commandment. And the second is like, namely this, Thou shalt love thy neighbour as thyself” (Mark 12:29–31). As Christians, members of The Church of Jesus Christ of Latter-day Saints (who are sometimes referred to as Mormons) strive to follow Jesus Christ’s commandment to show love to our neighbors all around the world. Mormons believe that one of the best ways to show love to others is through service. Inspired by scriptural admonitions to love and serve others (see James 1:27; Alma 34:27–29), Mormons help their brothers and sisters in need in many different ways. How does The Church of Jesus Christ of Latter-day Saints serve others? 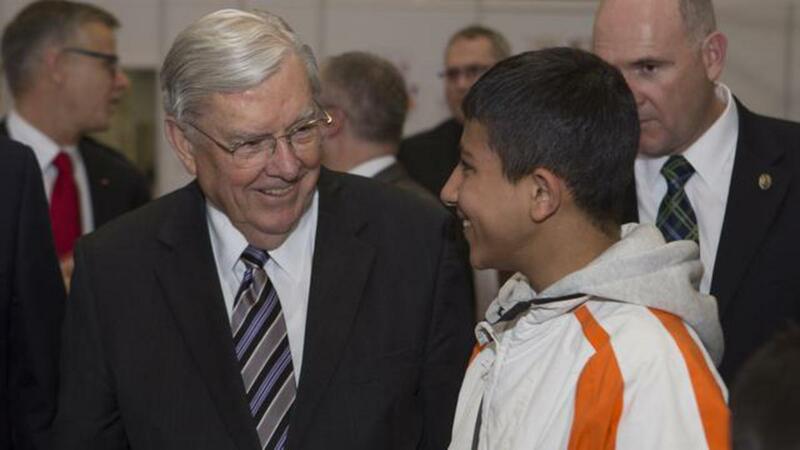 The Church of Jesus Christ of Latter-day Saints is involved in a variety of service efforts that reach tens of thousands of people around the globe annually. Several organizations within the Church manage its service and relief efforts, including LDS Charities and the Latter-day Saint Humanitarian Center. 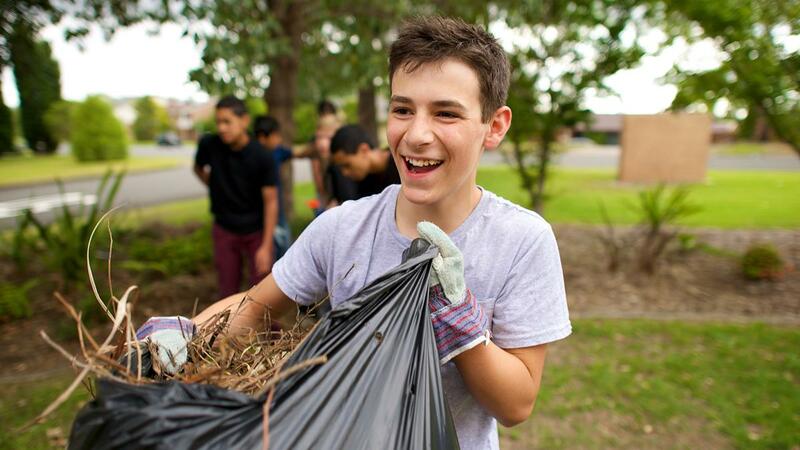 LDS Charities runs a variety of global humanitarian programs that are “built on the principles of personal responsibility, community support, self-reliance, and sustainability” (“What We Do,” ldscharities.org). One initiative run by LDS Charities is Benson Food, which focuses on helping “beneficiaries increase their food security through sustainable and economical practices,” including home food production, improved nutrition, and food storage. Benson Food operates in 12 countries and served approximately 116,000 people in 2016 (see “What We Do,” ldscharities.org). Other initiatives run by LDS Charities focus on clean water; global emergency response after natural disasters, civil unrest, or famine; immunizations; maternal and newborn care; vision care; and providing wheelchairs and mobility devices to disabled individuals (see “What We Do” ldscharities.org). LDS Charities also works with partner organizations around the globe to increase the impact of initiatives and best meet local needs. The Latter-day Saint Humanitarian Center is located in Salt Lake City, Utah, USA. At the Humanitarian Center, humanitarian supplies are prepared for use worldwide. In a normal year, the Latter-day Saint Humanitarian Center ships approximately 8 million pounds of shoes and clothing, 300,000 hygiene and school kits, and 12,000 quilts to over 50 countries (see “Latter-day Saint Humanitarian Center,” lds.org/topics). When possible, humanitarian supplies are acquired near where they are needed. Additionally, at the Humanitarian Center, up to 18 months of self-reliance training is provided to vulnerable community members, including refugees and immigrants, to help them prepare to enter the workforce. After training is completed, the center helps trainees find employment. In addition to these global efforts and numerous small service projects sponsored by individual congregations, many members of the Church have also served others through the Mormon Helping Hands program. Easily recognizable by their yellow vests, Mormon Helping Hands volunteers provide community service and disaster relief (see “Helping Hands,” lds.org/topics). The purpose of Mormon Helping Hands is not to provide goods or funds, but to provide free service laborers in times of need. 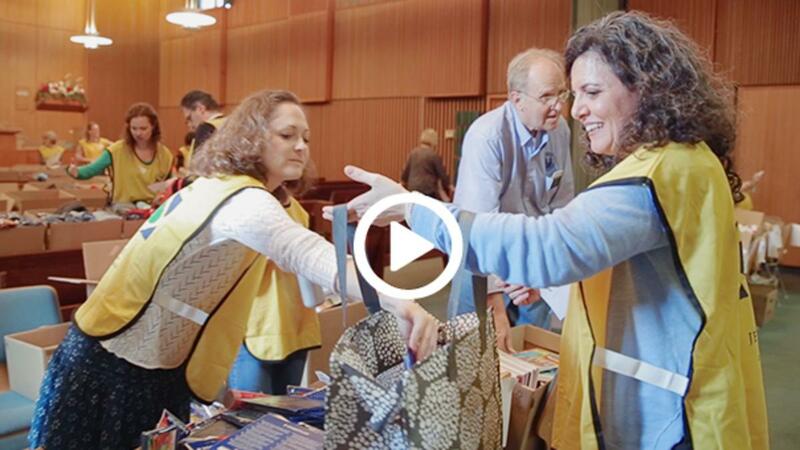 The thousands of regular Church members who have spent time volunteering for Mormon Helping Hands projects testify that Mormons are Christians who contribute to the good of their communities. South Carolina Flooding 2015 The flooding in South Carolina during the end of 2015 caused widespread destruction. What do Mormon missionaries do to serve others? Many members of the Church give loving, Christian service by serving as Mormon missionaries. Many Mormon missionaries serve regular proselyting missions, during which they spend much of their time preaching the gospel of Jesus Christ. 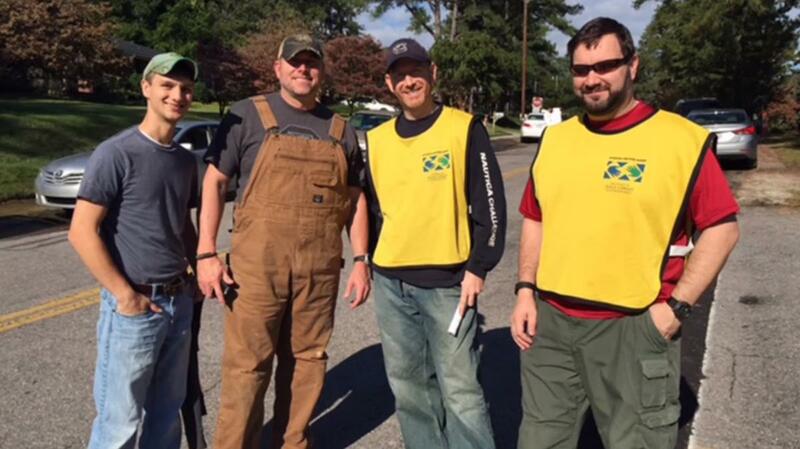 Many other Church members serve Church-service missions. Church-service missions are often an option for young people who are not able to go on proselyting missions because of physical, mental, or emotional challenges (see “Preparing to Serve,” lds.org/callings/missionary). Many older couples also decide to serve Church-service missions. During Church-service missions, Mormon missionaries may spend time assisting with addiction recovery support groups; serving at bishops’ storehouses, where food is available to the needy free of charge; helping with employment resources; helping meet the physical and spiritual needs of people living in inner cities; and helping others through family history research or indexing historical records (see “Explore Opportunities,” lds.org/callings/missionary). As Christians, Mormons strive to follow the Savior’s commandment to do unto others as you would have them do unto you (see Matthew 7:12). There are countless ways that members of The Church of Jesus Christ of Latter-day Saints, including Mormon missionaries, serve people around the world. To learn more about the Church’s service efforts, visit mormon.org.